I do love when dope producers collaborate. 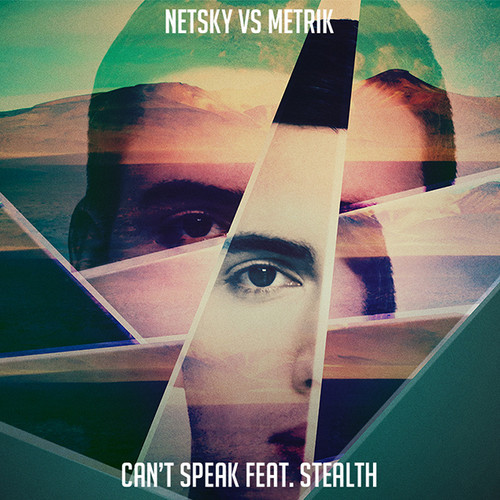 In true grand fashion, two of my favorite Drum & Bass producers from 2014, Netsky & Metrik join up with vocalist Stealth to re-work one of his tracks in an excellent, chilled out kind of way. It’s still fast & furious, but there’s a relaxed vibe that makes me wonder when Netsky or Hospital Records is going to work with Example. This might be seen as a little softer and more commercially friendly than some of Netsky’s earlier work, but there’s a lot to like about it and I think it’s important to give people something soothing. Relax with this tonight, only a couple of days left in the year. Mix Of The Weekend: UKF Bass Culture 3! This 13min teaser mix showed up on the UKF YouTube channel today. The quick, neat delightful compilation pulls tracks from Kove, Nero, Feed Me, Buku & a ton more. The mixing is top notch, with the tunes fired out as fast as you’d expect from UKF DJs. This reminder of the vast quality that the label puts out on a regular basis is nice, to the point and available everywhere. The 2 discs have insane amounts of quality, with tracks from Galantis, Pegboard Nerds, Fred V & Graffix, Netsky, Dimension, Noisia & that sweet London Grammar remix by ANDY C. Pick it up on iTunes, and hit up the full playlist on Spotify below!